After a hiatus of almost 14 years, Customs, Immigration, and Quarantine (CIQ) services have been reinstated at Van Nuys (KVNY). 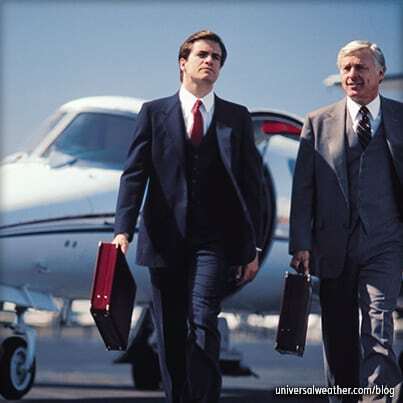 While this is very good news for business aviation operators planning international arrivals into KVNY, there are certain limitations to be mindful of. Due to Customs and Border Protection (CBP) receiving numerous operator requests to reinstate CIQ services, onsite CIQ clearance started up again at KVNY on May 21, 2015 after having closed down shortly after Sept 11, 2001. From that date until recently, international operations to KVNY had to clear at Los Angeles (KLAX) before repositioning to KVNY. This added time, additional fuel, and crew duty hour issues, as well as complicated operations for many private non-revenue and charter (non-scheduled commercial) operations. At this time just one full-time CBP officer has been assigned to KVNY, and clearance services are available only during limited hours and certain days of the week. 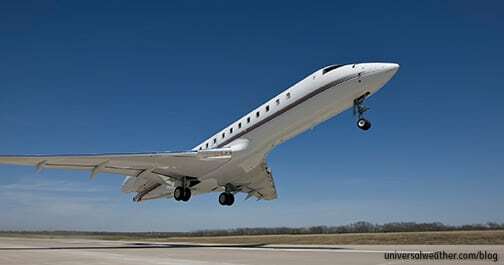 CIQ clearance is available for both private non-revenue and charter. For charter operations, Advanced Passenger Information System (APIS) must be filed, and operators must provide a customs bond number. Private non-revenue operators need to submit eAPIS. There are currently no limits in terms of the number of onboard crew/passengers that may be cleared at KVNY. Clearance is available Monday-Thursday from 1200 to 2000 local. CBP at KVNY will only accommodate approximately eight inbound clearances per day – which gives the officer about 30 minutes for each flight. Last inbound clearance is scheduled for 1900 local. If you plan to arrive prior to 1200 or after 1900 local, you’ll either need to reposition to another airport or request CIQ overtime for KVNY. KVNY is set up to clear all arrivals, including foreign nationals. Foreign nationals must go through fingerprint scans and visa processing. Service providers at KVNY are certified to remove onboard international trash. CBP provides 30-minute windows per clearance at this location. While the clearance process is often much faster, it depends on the number of people onboard, number of foreign nationals, and volume of luggage. Note that all pieces of luggage must be offloaded and brought inside for clearance. CIQ overtime is considered on a case-by-case basis. If you wish to clear at KVNY outside of current operating hours, you’ll need to request the clearance from CBP at KLAX, as an officer will need to be repositioned from KLAX. At this time the CBP officer based at KVNY is currently unable to accommodate overtime. Requests to clear CIQ at KVNY on Tuesday or Wednesday will likely only be approved for air ambulance, emergency, and diplomatic flights. Looking to the future, we anticipate CBP may consider stationing a second officer at KVNY and/or extending current CIQ operating hours. This, however, is unlikely to happen any time soon as CBP will need to review demand for these services. 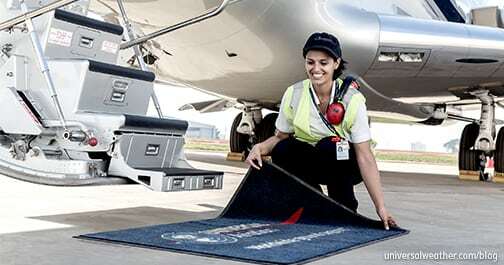 Be mindful that CIQ clearance is available at only one Fixed-Base Operator (FBO) location at KVNY. If you wish to park at a different FBO, you’ll first need to clear at the designated location, then taxi to your preferred FBO. KVNY is a landing rights airport with a minimum of 24 hours’ notice required for international arrivals. Landing rights fees apply when using this location. Note that your schedule and APIS filing need to be transmitted prior to contacting KLAX for KVNY CIQ clearance approval. It’s recommended that landing rights requests be made no more than four days in advance, as KLAX may delay an approval response until closer to date of flight. Once you have CIQ clearance approved for KVNY, any changes to approved arrival time will require re-approval. As there are only approximately eight CIQ clearance windows daily, any revision to your schedule will likely create issues. If a new CIQ clearance slot is not available, you may need to delay your flight or operate to another airport. You’ll need a Border Overflight Exemption (BOE) if you choose to clear at KVNY. This applies to arrivals traveling in-bound from south of the 33rd parallel when coming from Pacific locations and arrivals traveling in-bound from south of the 30th parallel when coming from Atlantic locations. For more information on BOEs, please see our blog. Note that outbound charter clearances for KVNY are still processed via KLAX, and there are no date/time restrictions for outbound clearances. Outbound clearances are issued two hours prior to the estimated time of departure and require documentation submissions via fax. You’ll need to submit a gen dec along with your filed APIS. CBP reviews this, stamps it, and returns it to the sender. Note that the crew must have a copy of the stamped gen dec on the aircraft for departure. All charter operators to U.S. ports must have acceptable customs bonds in place. At some locations it may be possible to use a 3rd-party customs bond, but this is on a case-by-case basis. Be aware that there are many locations in the U.S. where CBP only accepts an operator’s bond and not a 3rd-party customs bond. It’s best to verify local requirements with your 3rd-party provider in advance. For inbound or outbound CIQ clearance at KVNY with pets or weapons onboard, applicable information, permits, and health certificates must to sent, in advance, to KLAX CBP. CBP will review the data and either approve or not approve your request. 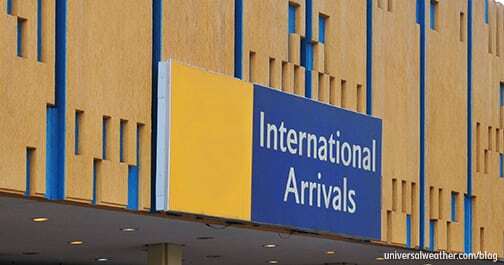 When you operate to KVNY on international arrivals, it’s important to understand the approval process for CIQ and adhere to your approved arrival clearance time because another operator may be slotted in for clearance 30 minutes after your scheduled arrival. Be advised that any schedule revision may very well cause issues. While we anticipate that CBP may extend dates/hour of KVNY clearances, at some time downline, nothing has been confirmed at this point. If you have any questions about this article or would like assistance arranging your next CIQ clearance at KVNY, contact me at renaybennett@univ-wea.com. Got a question for Renay about this article? Senior Regulatory Specialist Renay Bennett assists operators with everything from customs issues, border overflights, APIS submissions, TSA waivers, special FAA routing requirements and CANPASS planning. Renay has a very strong background and focus on customer service. After almost four years on the job she has the ability to intuitively sense the urgency in operator requests and understand the finer points in terms of the particular needs and wants of her clients. A graduate of Longwood University, with a Bachelor degree in Business Administration, Renay enjoys training new employees within the Regulatory Service Division in addition to easing day-to-day flight operation experiences of her clients.